I bought this little bear vest just before Ted was born – they don’t seem to have it online now (shame, it’s so cute!) but they’re always bringing out new prints. The plain cotton pima two-pack is £14.99 here. 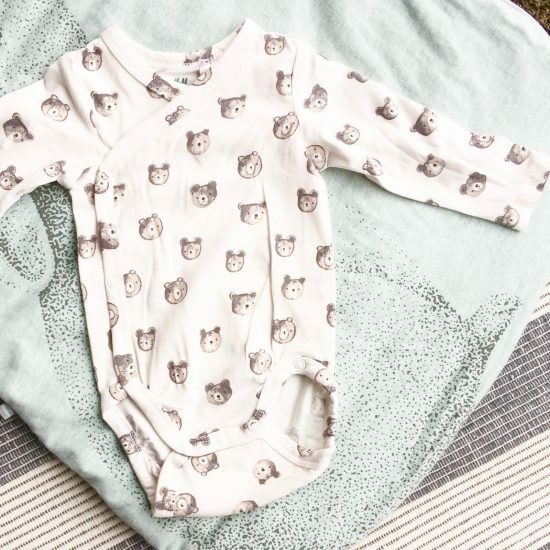 Baby Mori also do little wrap vests, and the fabric they use for their baby stuff is quite literally the softest fabric I’ve ever felt in my life! A bit pricier, but well worth the extra if you can splash out – their website is here.